We love getting new stuff in – its like opening presents! But in the last week we have gotten some great new things that we couldn’t wait to share with you -things we’ve found here and there – and this is just a glimpse. There’s a lot more!! We received the upholstery that we wrote about in this blog post a few weeks ago – 6 great chairs. 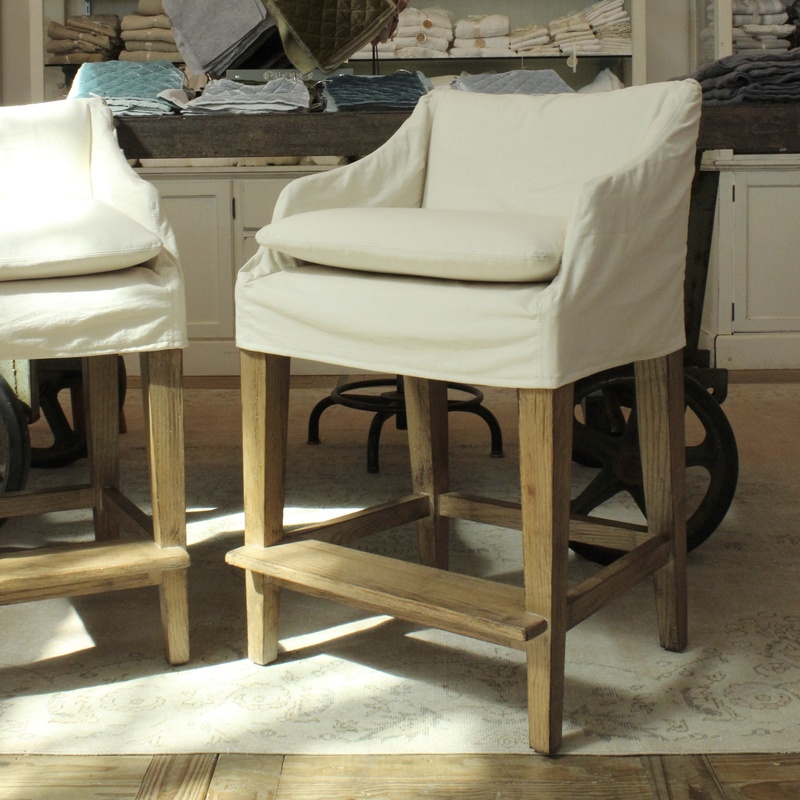 Here is the set of barstools we got – a simple washable canvas slipcover on a wood frame with an antiqued pine finish. Then there was the english auction. Here is the most perfect english pine hutch ever. 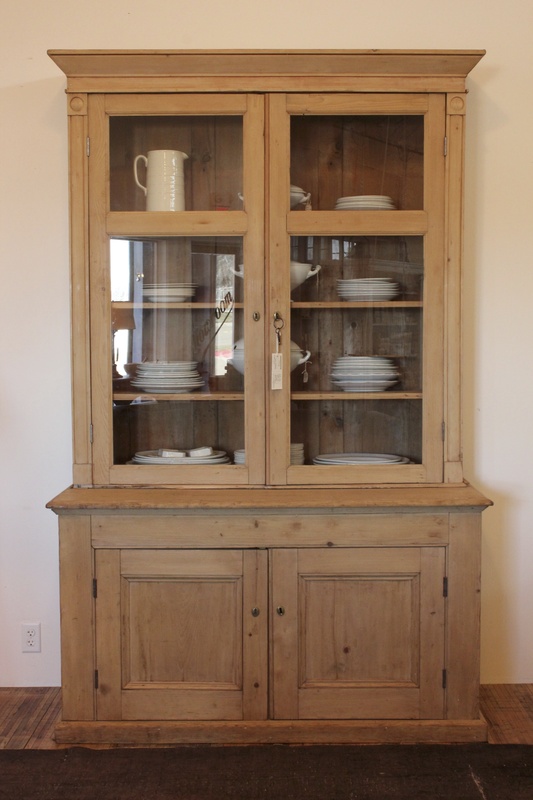 We never get tired of english pine filled with ironstone. 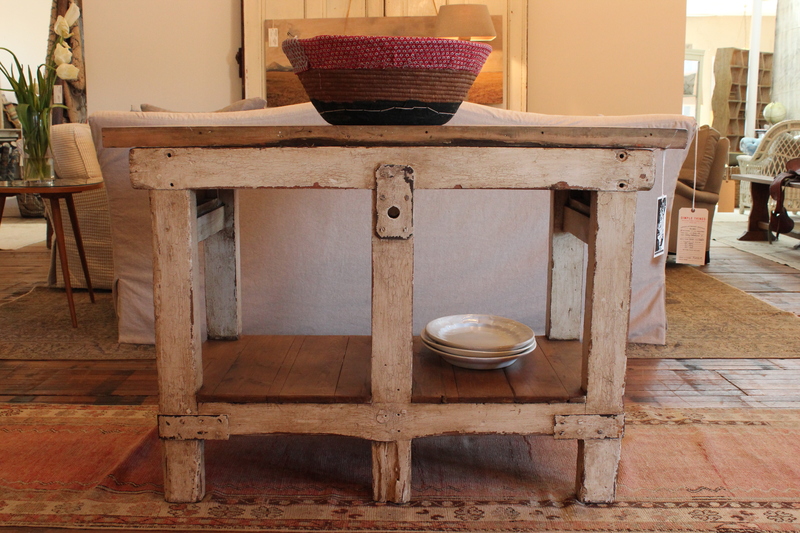 And just below is a shot of a heavy english worktable – could have been for tools or maybe a bakers table. At any rate, its the perfect kitchen island. Here is one of two amazing pieces of art. These are beautiful photographs in their own right, but when they are printed on birch they are even more amazing. Both are large scale pieces. You can check out the other larger photo on our instagram feed here. 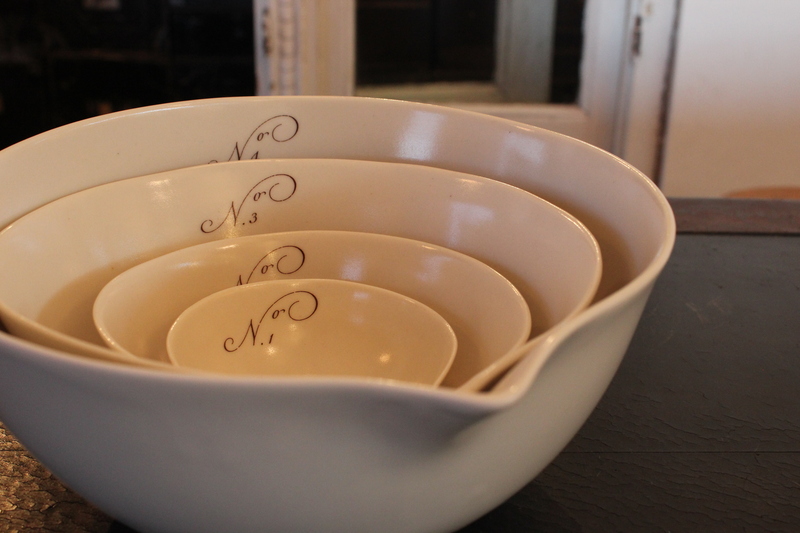 This is a set of nesting bowls – beautiful creamy porcelain. 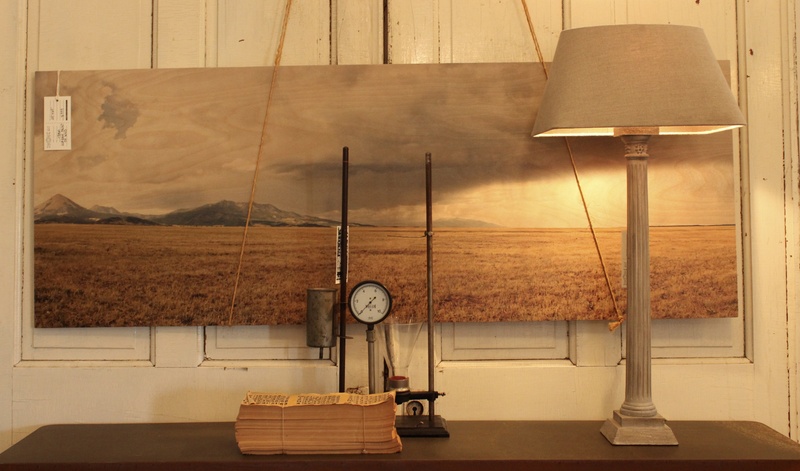 These are handmade in small batches by a very talented artist in Rhode Island – you heard it right, made in the USA! They have an elegant organic shape. They are food safe and are made with non toxic minerals and glazes – and remarkably enough they are dishwasher safe. We love that they are numbered so beautifully, but we are big suckers for anything labeled or numbered. 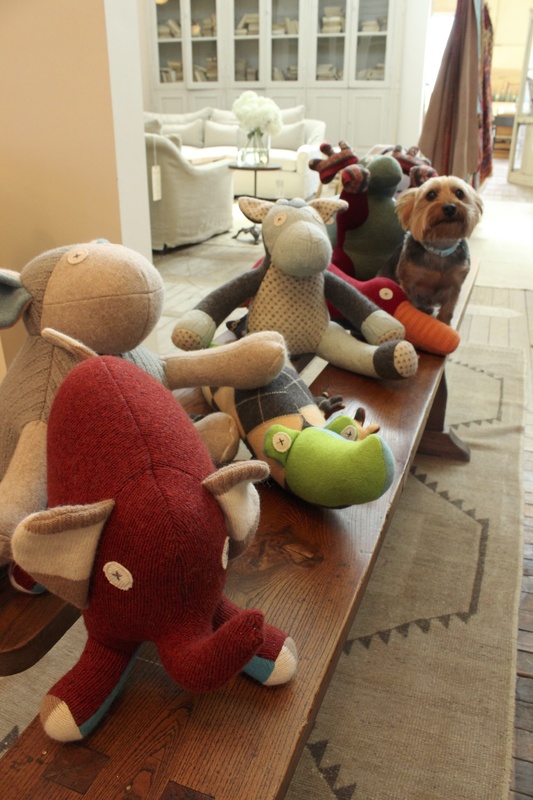 I’ve saved my favorite for last – these animals are made from recycled wool – a mix of patchwork patterns make them one-of-a-kind cool. And, there’s a platypus!!! ……and, well, a gator – who, incidentally, is not for sale (if you’ve been in the store you know who I’m talking about). Come by and see us and we will show off the rest of our new finds. ← Deal of the Week! SOLD! !